The Scallop Air Cleaner was inspired by our commitment to custom. This clever piece compliments the cylinder angles on H-D models and were designed to match up with our existing Scallop accessories. 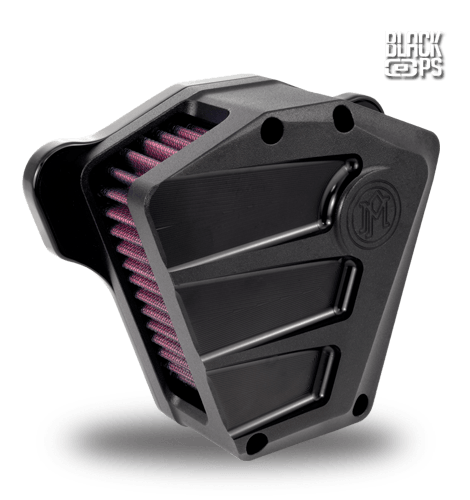 Lightweight and low profile with a proprietary K&N High Flow Air Filter and PM's proven internal crankcase breather system these intakes will maximize your style and performance.